Fujitsu Caribbean Limited last week announced an expansion of its cloud offerings under a strengthened collaboration with Oracle Corporation. 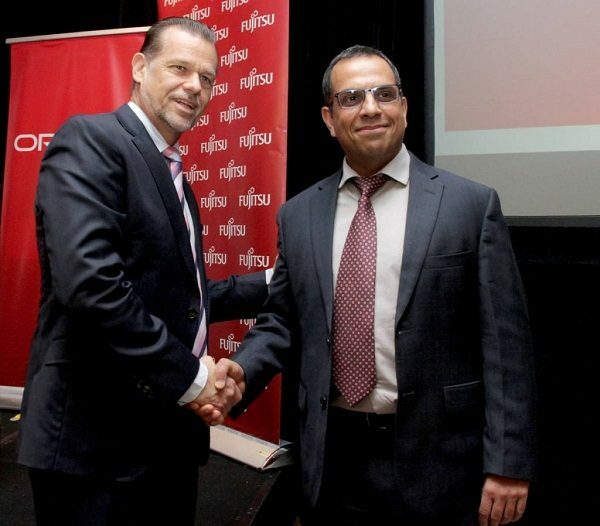 Fujitsu, in a news release reporting on the launch in event in Trinidad, stated that the joint effort will enable the rapid build out of multiple cloud environments and high-quality multi-cloud operations. It will also allow Fujitsu to directly provide Oracle Cloud Services to customers in a quote, “strategic alliance provides robust cloud offering to customers in the Caribbean to support digital transformation”. This is a part of any hybrid IT or modernization project and may be a response to Schneider Electric’s push into EDGE computing in Jamaica as noted in Schneider Electric launches EDGE Computing in Jamaica to make IOT a Reality. 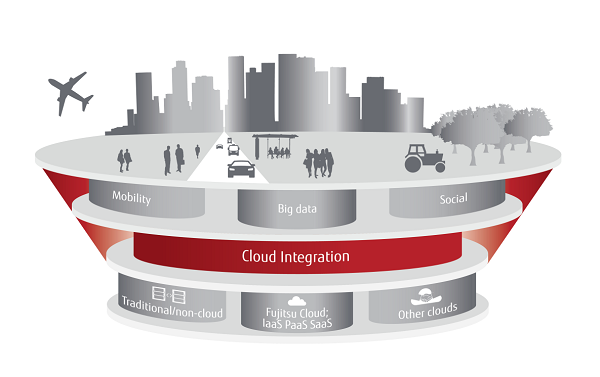 So why are Fujitsu and Oracle now in this dual orbit around Cloud computing in the Caribbean? Hence the reason why Fujitsu Caribbean President and CEO Mervyn Eyre is so confident of the lack of expertise in Cloud computing deployment in Jamaica, quote: “Many of our customers do not have the internal expertise needed, or the scale and agility to move quickly to adopt cloud and leverage all of the new digital capabilities available today”. Cloud is the future and EDGE Computing hosting locally designed Cloud-based Apps and B2B software is going to be big by 2020 and beyond, to quote Fujitsu Caribbean President and CEO Mervyn Eyre: “Fujitsu is positioning itself at the fulcrum of this growth nexus, with a significantly enhanced, transformative cloud-powered cloud service portfolio, underpinned by deepened relationships with the leading hyperscale cloud service providers”. Additionally, many of their customers may be seeing increasing problems with managing their networks and thus see migrating to the cloud as a more efficient way to scale while keeping cost slow, to quote Mervyn Eyre: “We are also adding development and operational capabilities that address customers’ increasingly complex estates as a key part of a leading multi-cloud portfolio of enablement services”. 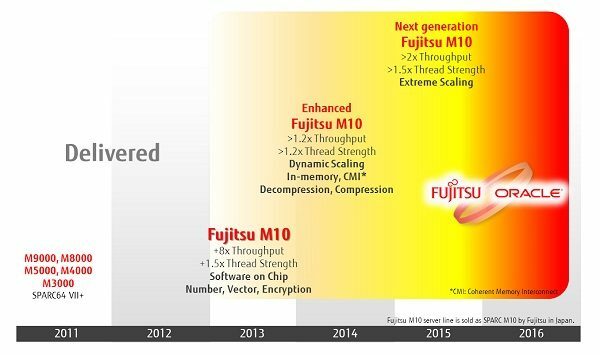 This is nothing new, as Fujitsu and Oracle have been in partnership for close to three decades and are more than aware of the coming trend of Digital Transformation. This may be based on increasing demand from their customer base to quote Amit Kanda, vice-president of product management at Oracle Corporation: “For over three decades, Oracle and Fujitsu have worked together combining their shared expertise to create innovative solutions, enabling customers to scale their organisations and achieve a competitive advantage. Oracle’s new strategic alliance with Fujitsu will allow companies in the Caribbean to drive digital transformation and spur business growth. It will enable customers to achieve standardisation, modernisation, and provide a pathway to accelerate the delivery of new services”. In order for Caribbean Businesses to maximise the benefits of cloud computing, organizations need Digital Transformation has Clouds with a Silver Lining for secure, reliable and high-performing cloud solutions.